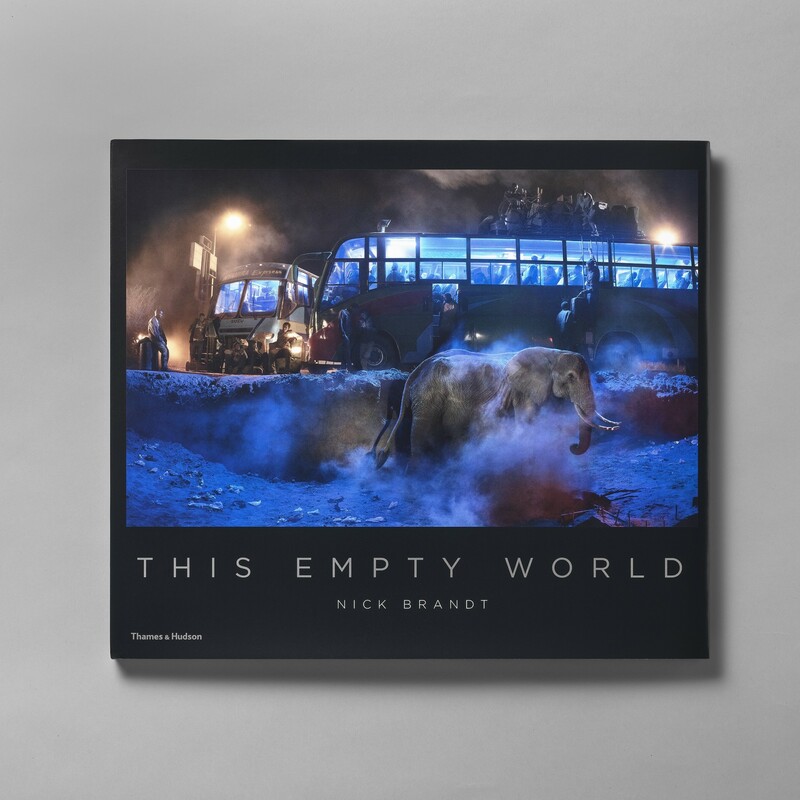 Moving into color photography for the first time, this monograph of new work from photographer Nick Brandt is both a technical tour de force of contemporary image making and an ambitiously scaled project that uses constructed sets of a scale typically seen in major film productions. Each image is a combination of two photographs taken weeks apart, almost all from the exact same camera position. The starting point of each composition is always the animal photographed in its native savannah landscape. 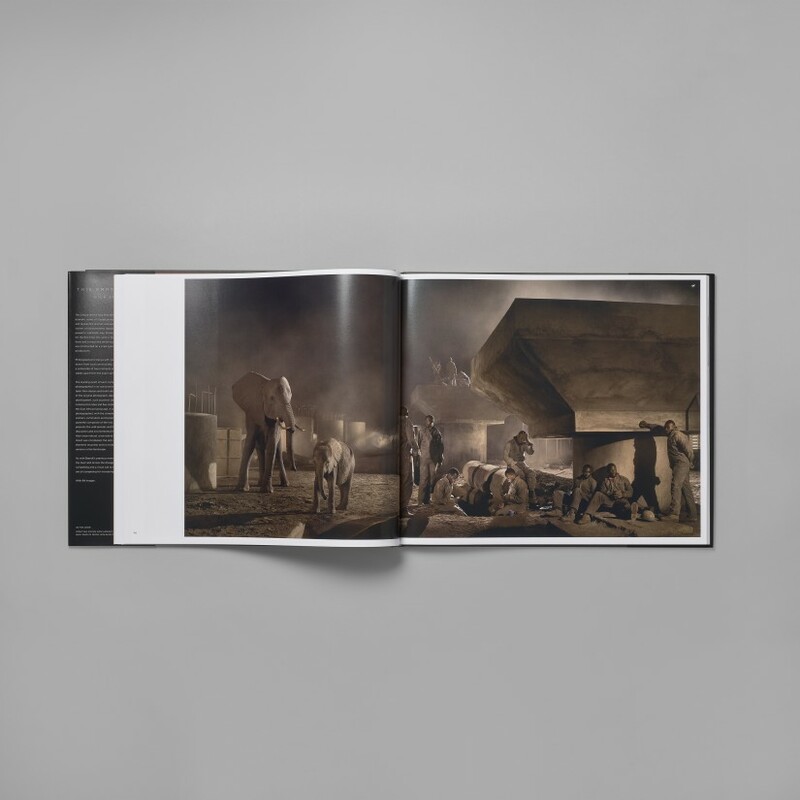 Brandt then designs and builds sets in the precise location of the original photograph depicting the human developments, such as petrol stations, highway and bridge construction sites, and bus stations, that are invading the East African landscape. A second sequence is then photographed with the completed set, populated by a large cast of people drawn from local communities and beyond. 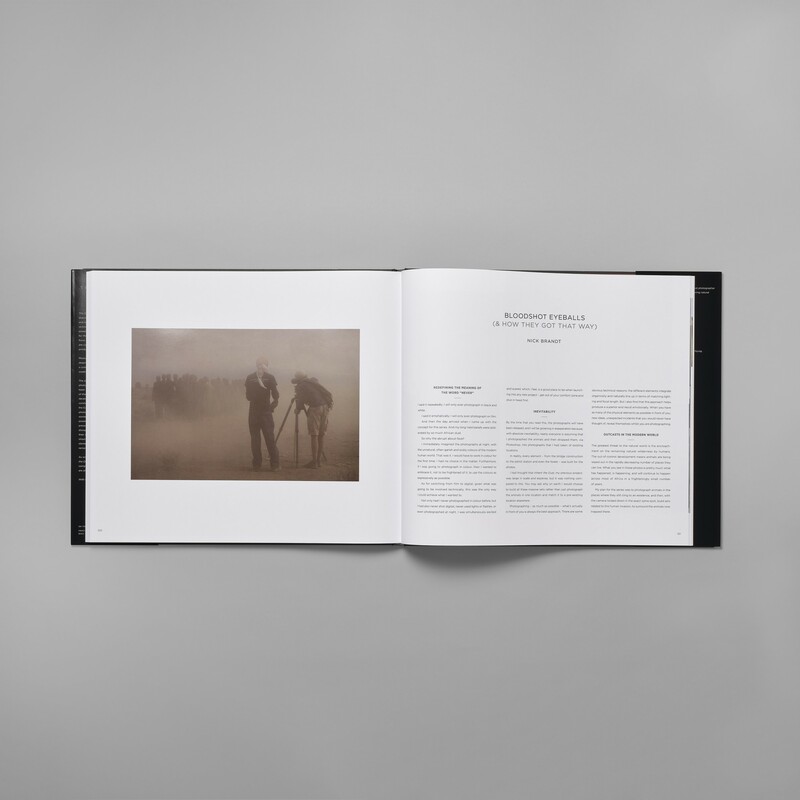 The final images are powerful composites of the two source photographs, which presents the wild animals and the people as equal victims of the environmental—both now aliens in their once-natural, once-native habitat. 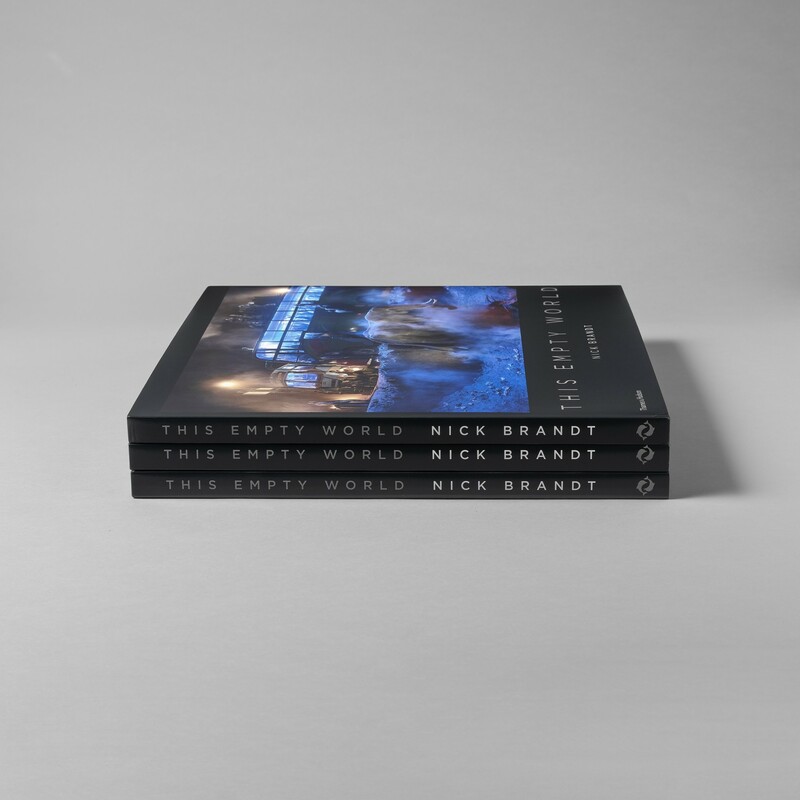 Including an introductory essay by Nick Brandt and a descriptive behind-the- scenes section, this new book is a must-have publication for all fans of Brandt’s work.